The severe weather condition that led to the postponement of the meeting between German Chancellor, Angela Merkel and US President Donald Trump is no joke. 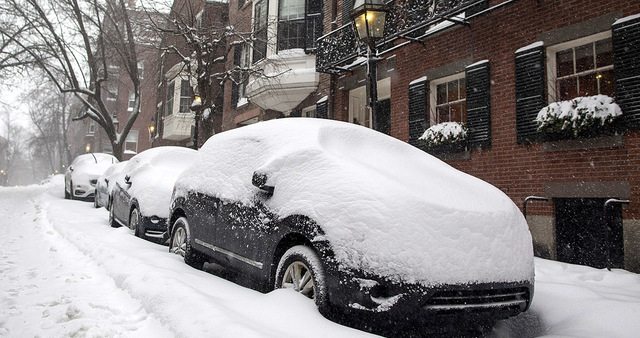 So far, nearly 7,700 US flights have been canceled and thousands of schools have closed. Winter storm warnings and watches have been hoisted over a region stretching from Ohio and West Virginia into Maine. At the moment, snow is falling in Washington DC up through Philadelphia, and New York City. About 18 million people are under a blizzard warning and millions more are under a winter storm warning. States of emergency have been declared in Maryland, Virginia, New York, New Jersey and Pennsylvania, while Boston, Baltimore, Philadelphia and New York City school districts will be closed along with many government offices.